Before you roll your eyes, I am not suggesting that negative online reviews should be ignored or skimmed over. Not at all. Every company makes mistakes and we all know there are plenty of customers out there who live for writing a bad review on Yelp. Let them. For some people, the highlight of their day is complaining loudly and proudly. You will never be able to temper that kind of person. So let them feel good about themselves as they tear into someone, often for no good reason. And, yes, you absolutely should be responding to their complaints and resolving them, even if their claims are ridiculous. It's the cost of doing business, especially in this age of social commentary.. and Twitter... where, according to Touch Agency, 80% of customer service tweets are negative in nature - they have to be answered. Meanwhile, the majority of the human race, at least I like to think this, are happy to leave a nice review and a compliment, publicly thanking someone for a job well done. Think about all the people who leave tips for waiters and waitresses, the coat check person, the valet driver, the cabbie, the manicurist.... I could go on and on. Yelp, Google reviews, Facebook reviews, Yahoo, CitySearch, Foursquare; to name just a few places that customers can write a review, have become some of the most popular search engines, all because reviews are indexed in SEO and online, just like a "how to" video on YouTube. 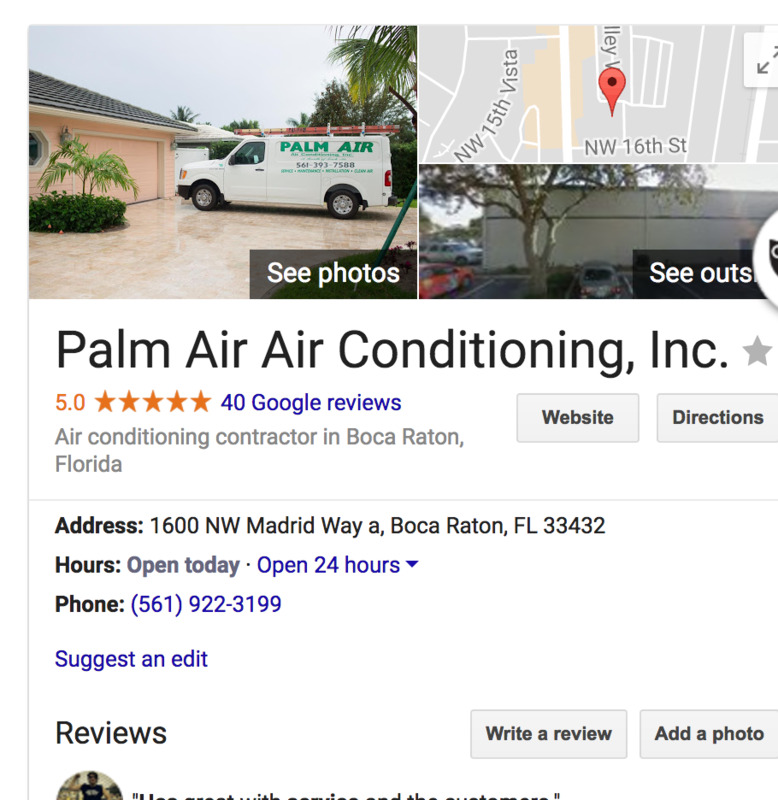 So, what do reviews have to do with SEO you may be asking? Well, Google is King, so just about everything. If your reputation is poor, or you have no reviews at all, it is more difficult for Google to find your links and index them for search engines. 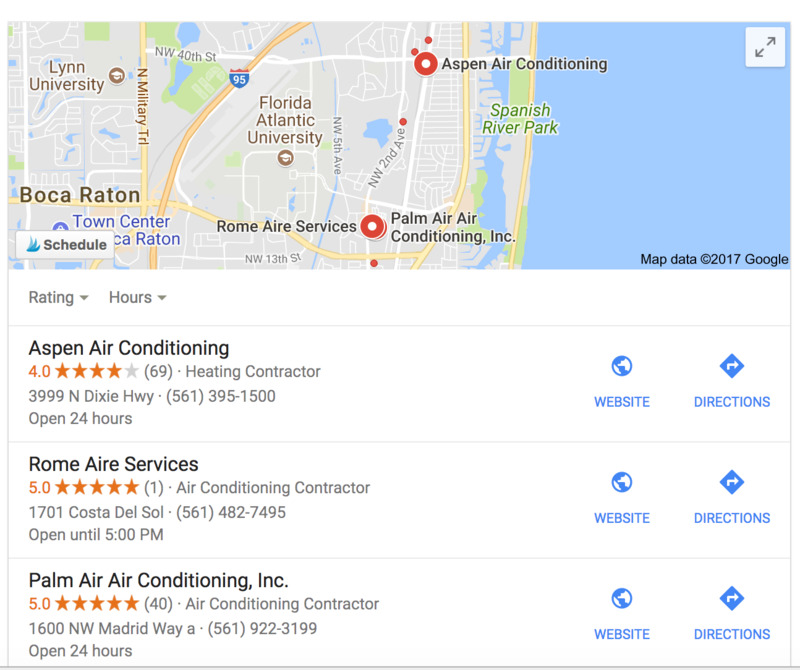 They show up number three in organic search (after the ads) on the map that pulls up in Google. Organic. The operative word. We work with this client and manage his online reputation. The results are stellar. Think about where you go online when searching for a plumber, a restaurant, even a sofa bed. It's either Google or Yelp. And, what do you find? The other thing you will find are the company's response to the aforementioned reviews. Or not. Let's think about this for a moment. You leave a nice review for a business and it's not acknowledged. No answer, nothing. How do you feel? Did you waste your time? Will you ever write them a nice review again? Responding to a positive review is the business' chance to publicly hug their biggest fans. To sincerely thank them for their patronage and to make them feel good about giving their money and their time to a place that knows the importance of focusing on and building a relationship with their adoring public. Keep in mind that customers who feel loved and appreciated are willing to pay more for excellent customer service and response-time. So, it only make sense that responding to a positive comment, which is super easy to do after all, can convert those customers into your most loyal brand advocates, sharing their experiences with their colleagues and friends. This applies to not only delivering top-notch service, but to taking the time to let your customers know you are not only looking for those negative Nellies so you can resolve a problem or put out a fire. You are also keenly aware of the happy people who need to be acknowledged in the public stream. If you are actively reading and responding to the loyal clientele who take the time to share a great service experience, you will be a winner, in more ways than one. The ROI of saying, "Thank you, Mr. or Mrs. Customer for sharing your positive feedback with us" quickly turns into an ROR - a Return on Relationship. And that is what a business should be measuring and growing every day. Laurie Hurley is the EVP of Digital Marketing for Consult PR, a global marketing firm. Connect with her here on LinkedIn, Twitter, Facebook, andgoogle+ . Want your reputation managed? Contact Laurie here.